Did you hear the latest piece of fashion news? Skinny fits are out and flared ones are in. Just in time for summer, we say. Bell bottom-style wide fitted trousers aren't just fashion forward; they're also an airy choice for the hot months ahead. If that wasn't enough to convince you, Sonakshi Sinha's look probably will. To attend movie promotions, the actress stepped out in a print mixed pair of voluminous flared trousers, a white cropped tank and flowing printed cape. The eclectic look is high on style and makes us want to ditch our tight fitted denims right away in favour of fashionable flared trousers. If you do too, go ahead and choose from these 9 picks. Like Sonakshi's, the Kingko Bell-Bottom Trousers have an intricate print in black and pink over a white background in lightweight fabric. They are available for Rs 1,805, reduced from Rs 2,527. Shop here. 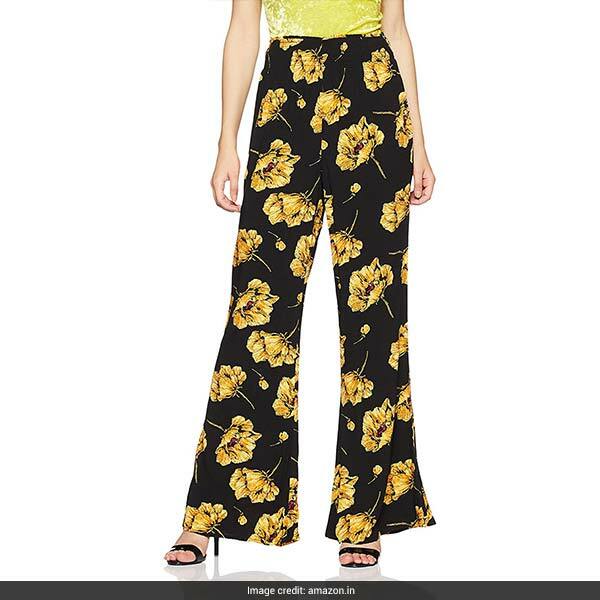 The Forever 21 Flared Pants will have you summer ready with bright yellow flowers over a black base. They are available for Rs 649, reduced from Rs 1,299. Shop here. 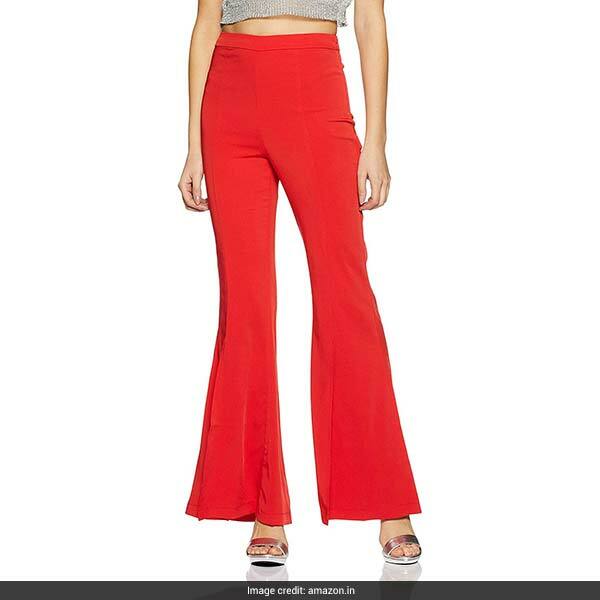 The Uptownie Lite Flared Pants have a similar fit like Sonakshi's with a flared cut ruffle detail from the knee down. 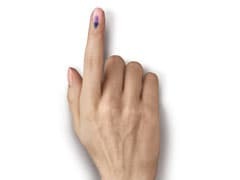 They are available for Rs 799, reduced from Rs 1,899. Shop here. 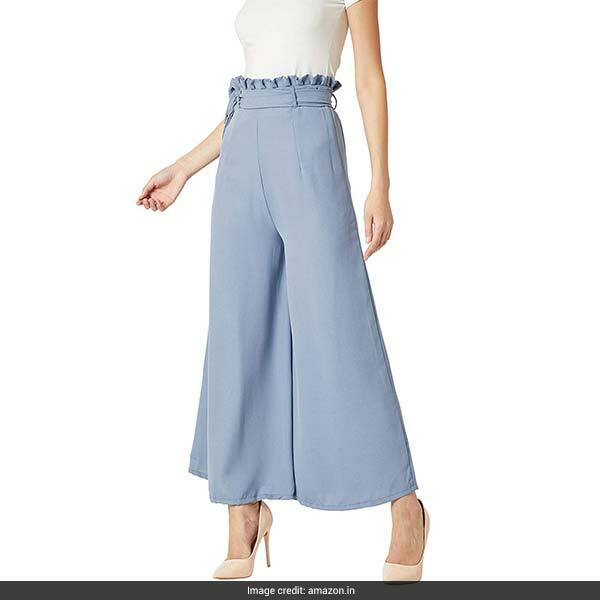 The Miss Chase Wide-Leg Pants have a loose fit with a paper bag waist in periwinkle blue. They are available for Rs 1,019, reduced from Rs 1,849. Shop here. 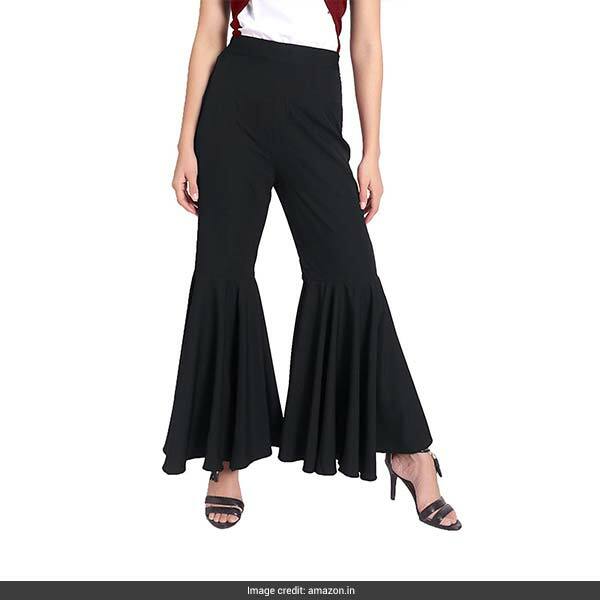 The Forever 21 Flared Pants are the striking staples every closet needs with a slim and flared fit in polyester and spandex. They are available for Rs 799, reduced from Rs 1,599. Shop here. 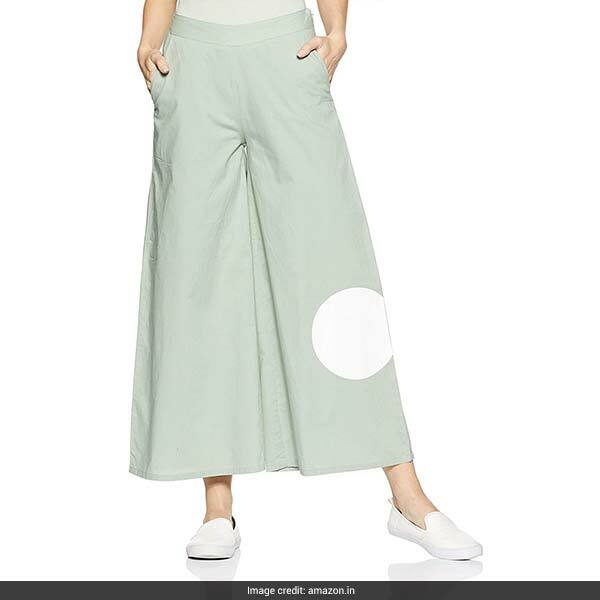 The Vero Moda Flared Pants are a unique choice in powder blue with a white circle print on the length. They are available for Rs 1,349 reduced from Rs 2,699. Shop here. 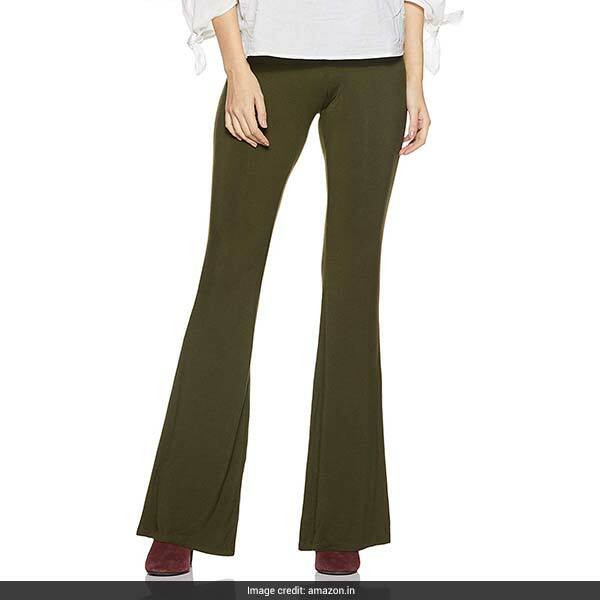 The Forever 21 Flared Pants in olive tones are the new neutrals you soon won't be able to live without. They are available for Rs 1,099. Shop here. 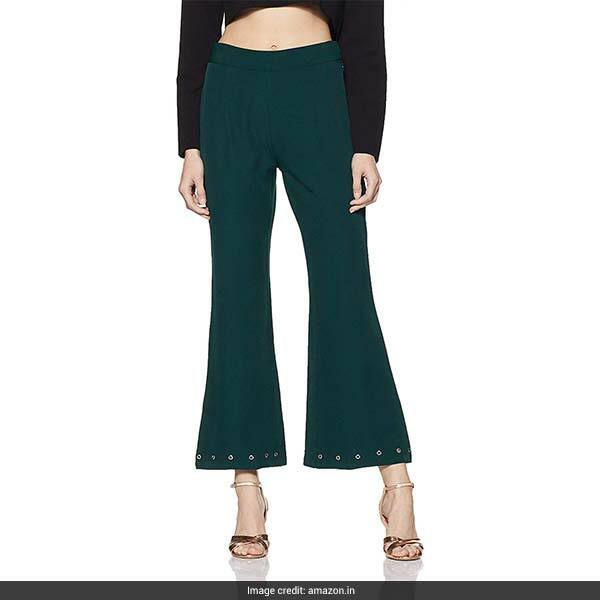 The FabAlley Flared Pants come in deep green trimmed with rivets over the hem. They are available for Rs 783, reduced from Rs 1,950. Shop here. The Rider Republic Palazzo Pants are made for denim lovers as the wide-legged jeans have a flared fit in a light blue wash. They are available for Rs 847, reduced from Rs 1,695. Shop here. 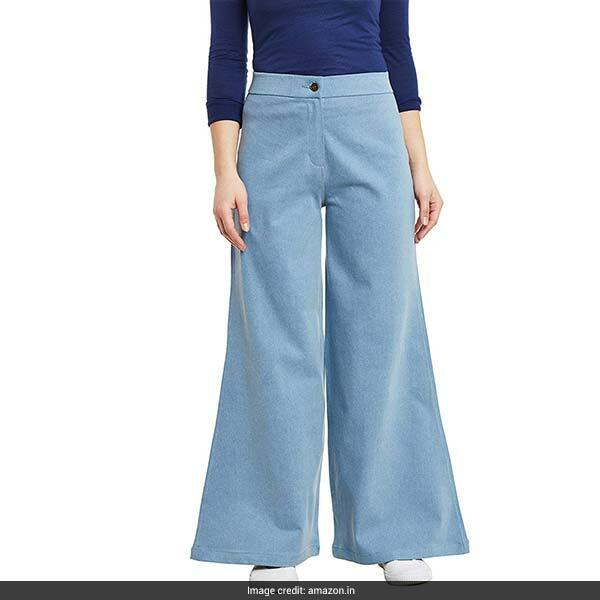 For more flared pants, check out these. Will you be trying the trend this season? Tell us in the comments.